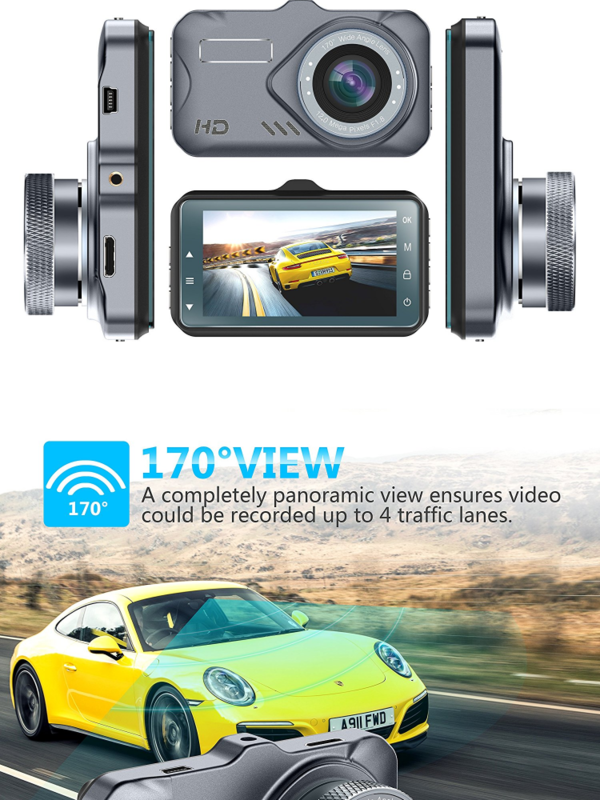 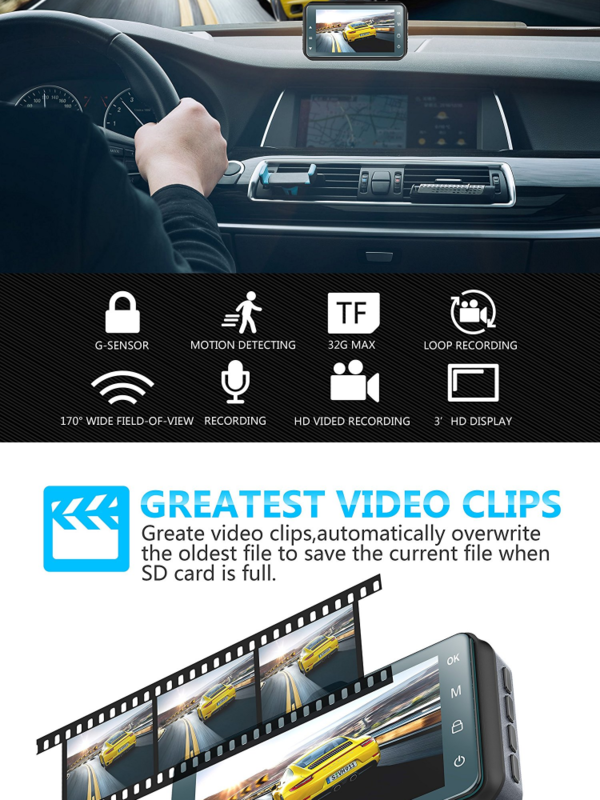 ▶CLEAR LICENSE PLATE RECORDING——This dash cam with full HD 1920x1080P video, 30 FPS captures richer and clearer driving details to help you record unexpected. 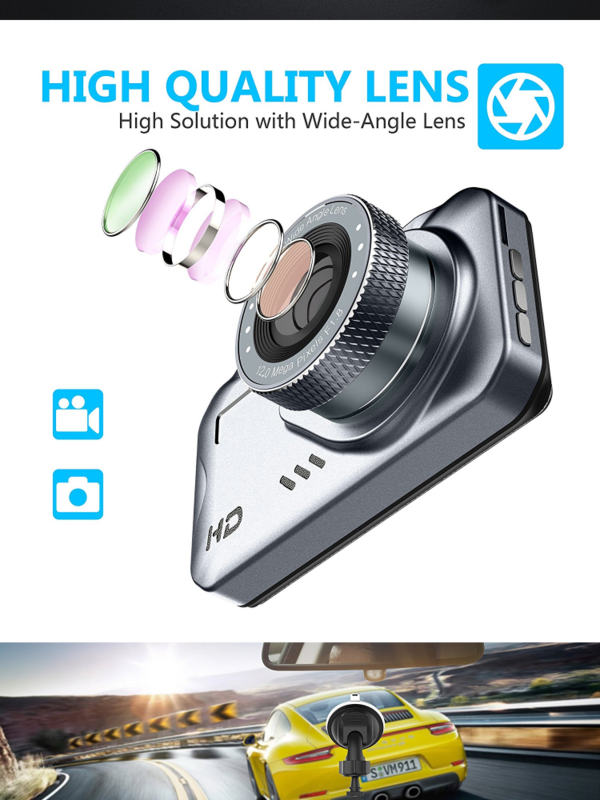 ▶170° WIDE ANGLE 6G LENS——Wide dynamic balance technology of the dashboard camera balance the brightness of the driving environment effectively, to reduce the overexposure for a clearer video. 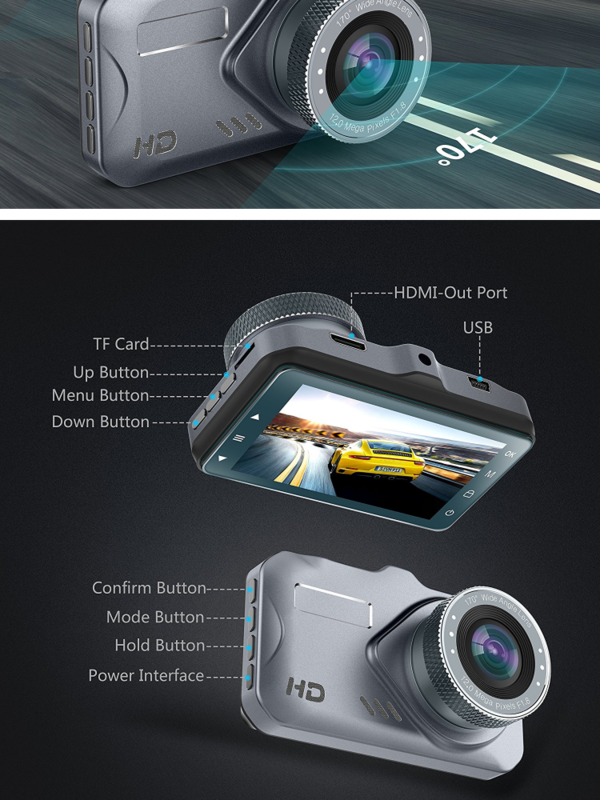 ▶PARKING MONITOR AND MOTION DETECTION——Activated by G-sensor, the dash camera lock emergency video, When the accidental collision or someone intends to hurt your car. 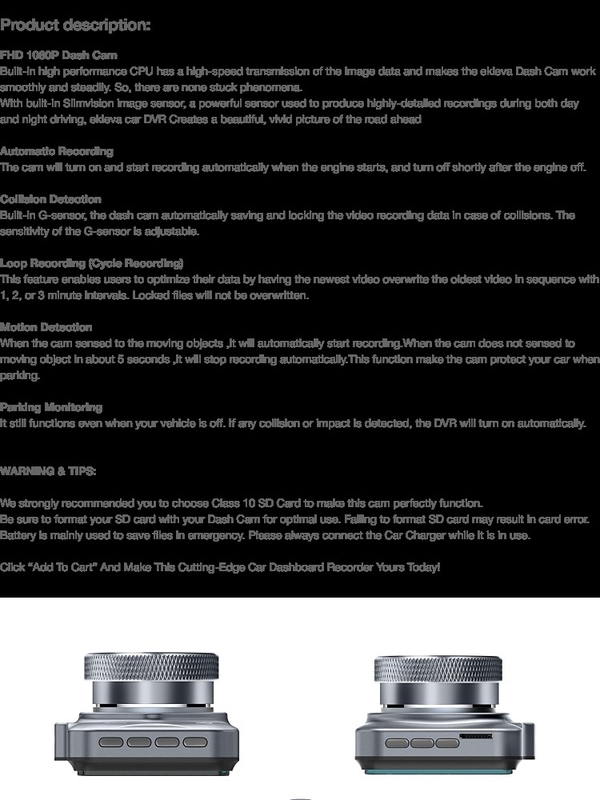 ▶AUTOMATICALLY TURN ON/OFF: When connected with the car charger, the device will turn on when car start, turn off and save the last video when car power off.